Derma Sciences Dutex® Cotton Conforming Bandage is ideal as a secondary dressing for wrapping legs and arms, and to hold dressings in place. The dressing gently secures to body contours without restricting movement. 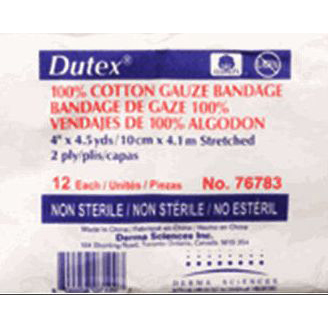 Dutex® Cotton Conforming Bandage is latex-free.